Following the announcement of Professor Simon Wren-Lewis winning the 2016 New Statesman/SPERI Prize for Political Economy, we are pleased to invite you to his Prize lecture entitled “What Brexit and austerity tell us about economics, policy and the media“. The lecture will be held at the Emmanuel Centre in London and hosted by Beth Rigby, Senior Political Correspondent at Sky News. Tickets are free but registration is required. The prize, jointly run by the New Statesman and SPERI, is given to the scholar who has succeeded most effectively in disseminating original and critical ideas in political economy to a wider public audience over the preceding two or three years. 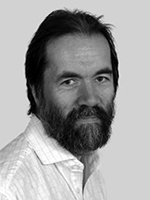 The judges chose Simon Wren-Lewis, from a shortlist of five world-class academics, because of his commitment to presenting his ideas in an accessible, challenging way for both professional and lay readers of his work. More details about the prize and this year’s prize jury can be found here.